Rents will stay stable at 875 American Legion Highway in Roslindale. 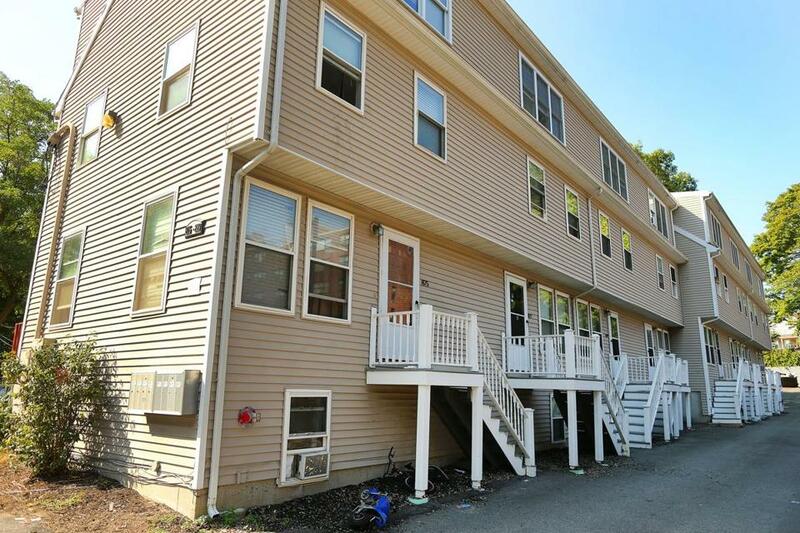 A Boston program designed to protect low-cost apartments from property speculators scored its first win earlier in August, when a local nonprofit used public money to buy a block of eight town houses in Roslindale. Despite the purchase, the program, designed to keep investors from buying similar buildings and jacking up rents, is off to a slow start, highlighting the challenges facing even relatively modest efforts to ease Boston’s rental housing crisis. In May. housing advocates cheered when the Walsh administration launched the program, which contributes $75,000 per unit toward the purchase of small apartment buildings by landlords who pledge to keep rents affordable in perpetuity. It’s far cheaper than building new affordable apartments, they noted, and could blunt a trend in some neighborhoods where investors are buying modestly priced apartments, raising the rents, and pushing out longtime tenants. The one-year program, though, has only $7.5 million in funding. And its first deal comes months after the official launch. It’s not for lack of interest, said Steve Meacham, organizing coordinator at City Life/Vida Urbana. The tenant-rights group has pushed a number of nonprofits to buy buildings where its members live. For one thing, $75,000 per unit doesn’t go far in a market where multifamily buildings routinely sell for four times as much. Then there are rules about rent limits and a requirement to keep existing tenants in place, which makes major renovations tricky. And cash buyers can be far more flexible than nonprofits that need to cobble together financing and run every deal past boards. So Meacham, Kriesberg, and others hope the eight-unit building on American Legion Highway in Roslindale can prove to be something of a model. Its owner, Brookline-based City Realty Group, put the building up for sale last year at $2.35 million, with ads promoting its “upside potential” if a new owner wanted to raise the “well below market” monthly rents, which range between $1,700 and $2,200, or convert it to condos. No one bit. So City Realty dropped the price, eventually to $2.2 million. That caught the eye of Southwest Boston Community Development Corp.
An affordable building full of family-friendly four-bedrooms is a rare find — “a unicorn,” Southwest executive director Erica Schwarz calls it — and the nonprofit wanted to preserve it. Built in the 1990s, the building doesn’t need major work. Most of its tenants receive Section 8 rental vouchers, enabling slightly higher rents. The numbers worked, Schwarz said. They made an offer, and last week the sale closed at $2.04 million; Boston provided $600,000 of the funds. City Realty managing partner Fred Starikov said the money from the city made Southwest a more attractive buyer. Deals with nonprofits can sometimes drag, he said, because of complex financing plans and board approvals. But Southwest was able to move fast and make a competitive offer. Now Southwest owns the building, and all seven current tenants plan to stay put and will pay the same rents. The architect of the city program, Sheila Dillion, acknowledged it has been slow going. This story has been updated to correct the name of the nonprofit that purchased the building, Southwest Boston Community Development Corp.